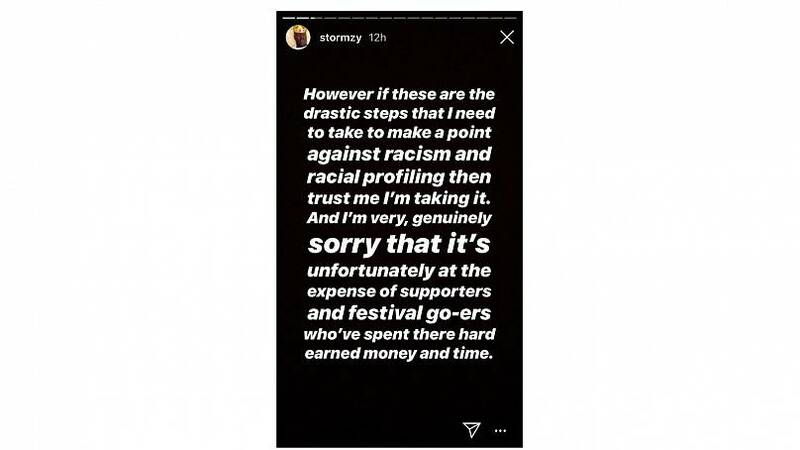 Stormzy has cancelled his appearance at an Austrian music festival after accusing staff of racially profiling his entourage. The British rapper, whose real name is Michael Omari Owuo Jr, was due to perform a headline set at Snowbombing festival, but pulled out just hours before it was due to start. 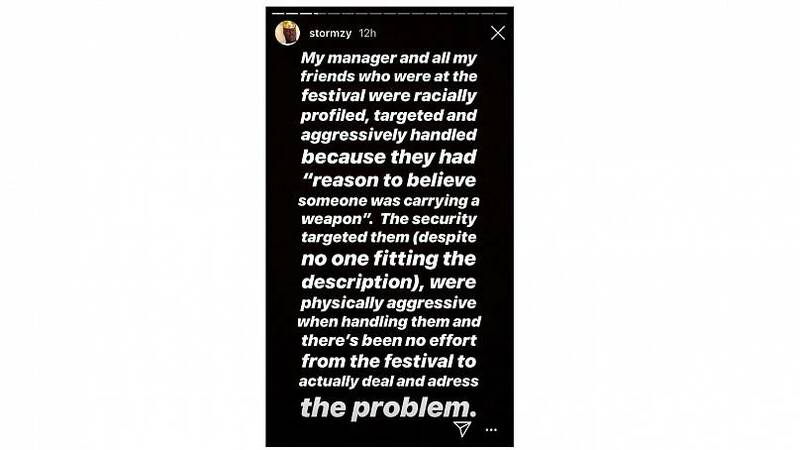 In a series of Instagram posts, the 25-year-old told fans that festival staff had "racially profiled" his manager and friends after "targeting" them for a weapons search. Festival security had earlier received an alert that an attendee was carrying a weapon. "Despite no one fitting the description", the Brit Award-winning artist wrote, "my manager and all my friends who were at the festival were racially profiled, targeted and aggressively handled" during a search. "This is the kind of soul draining s*** black people gotta deal with all the f****** time and I'm sick of it". Appealing to his fans, he added: "I need you to understand why this is necessary in the grand scheme of tryna fight back against racism." 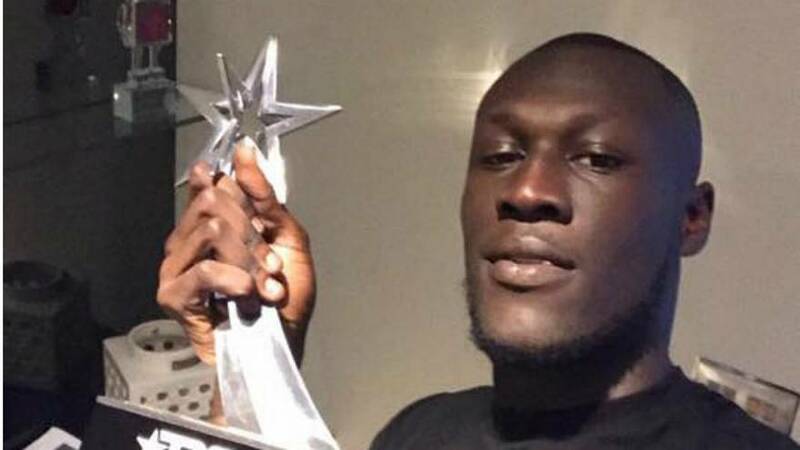 Stormzy later went on to apologise to those attending the festival. 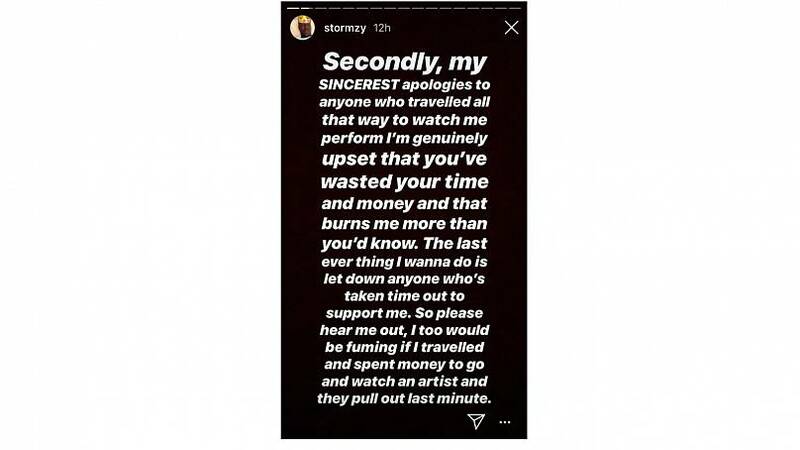 Organisers of the festival, which is held in the Alpine ski resort of Mayrhofen, said they were "deeply saddened" that anyone was made to feel uncomfortable, and wanted to "wholeheartedly apologise" to Stormzy's team. "We are doing everything we can to understand the full situation and are treating this with the utmost seriousness to ensure this does not happen again," the statement concluded.